I’m happy to introduce our guest muse today, Darrah Parker. Darrah is a mama, photographer, writer and also the teacher of one of my most-favorite photography e-courses! Armed with her camera, she is on a constant search for the joy in everyday Slices of Life and magic in simple moments. She enjoys spending time making up silly songs with her daughter, wandering Seattle’s farmer’s markets with her husband, and sipping lattes – always with a camera close at hand! It seems that she’s discovered her shadow just in time for summer. At 19- months old, she has realized that she is a whole person, separate from me and her daddy. She has strong opinions about just about everything and the sense of humor of someone who has lived much longer than she has. The summer months are helping us slow down. Even on days when we are in a hurry, we always take time to wander. To look for bugs. To blow bubbles. To sit in the grass. To skip and stomp and meander. And then there’s her shadow. I didn’t notice it until this summer. It’s always there now. Like a guardian angel watching over her. Perhaps that will provide me with a little comfort. 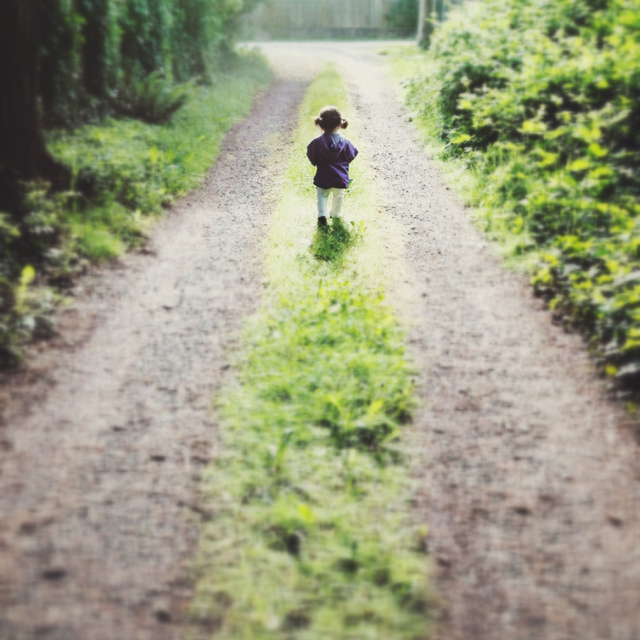 As she continues to grow and explore, her shadow will always be there, reminding her that she is not alone. Wherever she goes, I will always be there. Thank you Darrah for joining us here today! You can find more of Darrah’s work on her website and can connect with her on Facebook, Twitter, or Instagram. 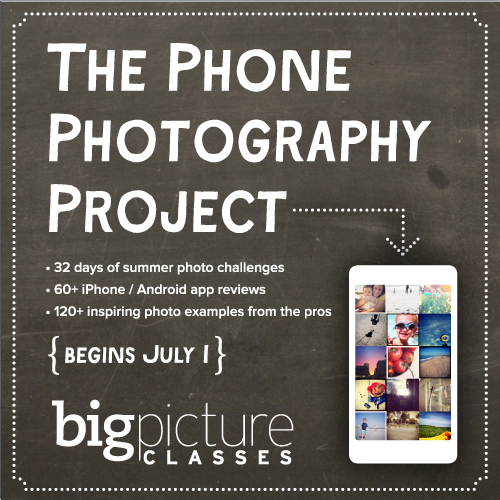 Don’t forget, you have more chances to win a spot in The Phone Photography Project over at Big Picture Classes where Holly and Jenny are both teaching this summer! Just comment on any Mortal Muses post this week; each comment counts as a chance to win. We will draw 6 lucky winners announcing the results next Mobile Monday. 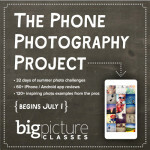 If you’ve already signed up for the class, don’t worry; Big Picture Classes give you a refund if you win! You can read what BPC has to say about the class here. Darrah- It’s been such a joy to watch your little one grow up through the amazing world of cyberspace. Thank you for your class (the first online one I ever took) and for sharing your own “slice of life” with us everyday. xo, Barbara PS. I love love love the last photo! Lovely photos of your little girl! 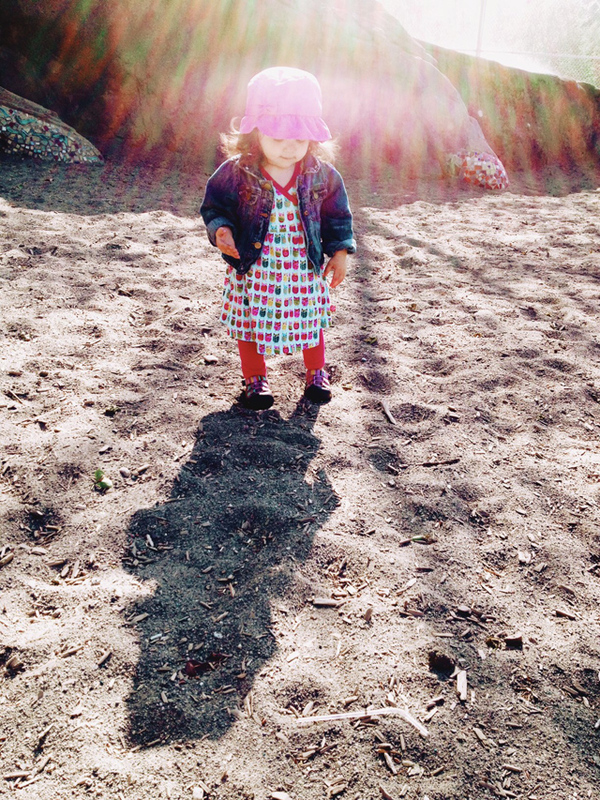 When my granddaughter was her age, she first noticed her shadow while walking on the beach. Each time she moved in a different direction on the beach, she would wave at her shadow as if it were another person. So sweet! Thanks for sharing that memory, Lynne. Love the story of your girl and her shadow. What a sweet memory!! such sweet sentiments. thank you for guesting with us, Darrah! Thank you so much for sharing your project here, Darrah. I have a precious video of our boy discovering his shadow moving with him which I still watch with big smiles.